of this addition after the fact? You might think the answer is complex. In some ways it is. Still, in essence, it’s also simple: yes, you can get anti reflective coating on your current glasses, even after you have already purchased them. There are, of course, some caveats to that statement, which we’ll explore below. Join us for a deep dive into the benefits of anti reflective coating, how that coating is typically applied to your glasses, and what all of that means for adding this type of coating to your lenses after the fact. Of course, we’ll also cover the steps you can take to make sure you actually get the benefits of this coating. First, let’s start with the basics: why would you want to add anti reflective coating to your glasses to begin with? As you might imagine, the answer is the benefits that you get from this addition, regardless of the situation. Glasses, regardless of the material they’re made of, tend to reflect light back that falls on them. As a result, when you’re wearing glasses, it can become difficult to see anytime a light shines on them. The average plastic lens reflects about 8% of the light that falls on it back to its source. Now, imagine the situations in which this might become problematic. Staring at a computer screen can begin to hurt your eyes, as you have to squint just to be able to see clearly. When you do it for hours at a time, the result can be significant headaches and worse vision over time. Driving, especially at night but also during sunny days, can be another danger. Multiple light sources in the evening will fall on your glasses. When they reflect back, you cannot see as clearly. As a result, you will struggle to see and could expose both yourself and anyone riding with you to potentially serious danger. Anti reflective coating can remedy these problems. They allow more than 99 percent of all light to come through, minimizing the potentially dangerous glare that you might be exposed to as an alternative. You can see more clearly, while also remaining safe in any situations where light shining on your glasses might otherwise become an issue. Finally, the fact that these glasses allow more light to shine through also means that your counterparts will be more easily able to see your eyes. Because so much of our communication is through body language, that helps minimize misunderstandings and better get your points across. Because of these benefits, anti reflective coating has become popular for many who need prescription eyewear. If you find yourself among that group, here’s what you need to know about the actual process of adding this type of coating to your lenses. First, the lenses have to be completely clean for the process to be effective. This coating effectively covers any blemishes, exaggerating them and making them permanent. This cleaning process tends to be intense, with multiple processes and technologies working to remove any blemishes as necessary. After the cleaning is complete, the glasses are dried entirely. Any moisture can result in the coating not sticking properly. Once even the last residue of moisture is removed, the lenses are ready for the actual coat. That coat consists of a clear magnesium fluoride crystalline layer that goes directly onto the lens. It’s either sprayed directly onto the front and back of the lens and then heated for full bonding, or through a vacuum process that also ends with intense heat to complete the crystallization and bonding. In other words, it’s a complex process. That might make you wonder just how you can get anti reflective coating on your current glasses. Don’t worry – it’s still possible, if you take the right steps. First, of course, you have to understand whether or not you already have this coating on your glasses. How Can You Tell if Your Glasses Have Anti Reflective Coating? The benefits might sound so tempting that you’re ready to get started in adding this type of content. Before that actual process happens, though, it makes sense to check whether you actually need it. In other words, look whether the coating already exists on your prescription lenses. When you hold your glasses, tilt them this way and that and look for glare. What you will see if you have an anti-reflective coating is a bit of glare, but mostly a greenish and pinkish color. You will also notice that if there is nothing truly bright (like an overhead light) trying to reflect off the lens, it appears quite clear. If you don’t have the anti-reflective coating, the glare will appear the same color as the light reflecting, often white, and reflections will be strong. No matter where you hold the glasses, reflections will be apparent. When in doubt, you can always go to your eye doctor to ask them to perform the same check. Either way, you can make sure whether or not this option is already on your lenses before you make the decision to go through the process of adding it. The lens is not oily, especially from skin oils. This matters because the coating will trap that oil, which decreases visibility in a potentially significant way. The lens is not scratched. Scratches will be made worse by the coating, and will – like the oil mentioned above – significantly reduce the effectiveness of your glasses. Given both of these conditions, it’s clear that the process is not always simple. In fact, that is why many opticians will not undergo it. They either refuse to add the coating outright, or ship it out to a third-party source which decreases quality and significantly increases expenses. We’ve heard from many customers who have run into these exact problems, and conclude that adding the coating after purchase is simply not possible. That, however, is not quite true. You just have to find the right merchant. That merchant should be able to not just add the coating reliably, but also engage in a cleaning process that reliably clears the lens before the coat is applied. Anything else, and you can actually reduce the quality of your entire eyewear. Another important consideration is honesty. If your lenses are scratched, you should be able to trust the vendor you work with to let you know so that you don’t ruin the entire pair through erroneously applied coating. Only credible merchants with a long-time history will be able to convey that trust; don’t work with anyone who promises the service to you. When you find the right merchant, however, the process is actually surprisingly simple. Once you know whether or not they can help you in this process, send in your existing lens with exact description on what you want. Often, that means simply noting you only need the new coating, not an entirely new lens. Personal contact with the vendor helps you minimize misunderstandings and maximize the chance of actually getting what you’re looking for. We’re one of the merchants offering these services. 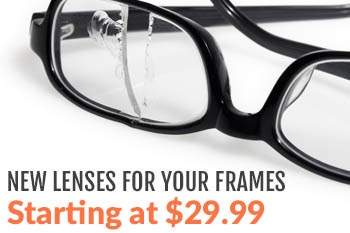 In fact, you can get it done easily through our lens replacement program. Simply send in your existing frames, choose anti reflective coating (for $40) as an option, and note in your paperwork that you are only looking to add the coating instead of an entirely new lens. Our convenient live chat helps you check with one of our support agents to make sure you are actually getting exactly what you’re looking for as you’re placing the order. We believe that credibility matters in this process. If your lens ends up worse off with the coating, we will let you know in time to help you make a decision. We also have a long history of customer success and satisfaction, and will make sure to treat you according to your individual needs and preferences. If you have any more questions about adding anti reflective coating to your current glasses, contact us. We’d love to help you make it happen, and take full advantage of the many benefits you get from this type of addition. 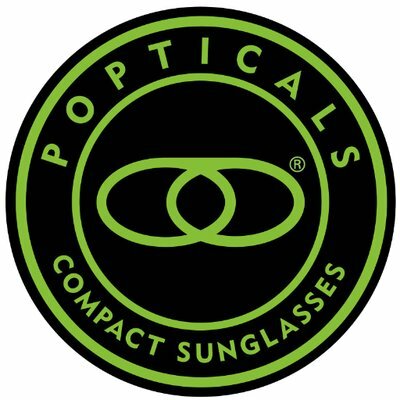 Simply put, the benefits are too much not to leverage them, helping you stay safer and optimize your vision for the light regardless of the situation.